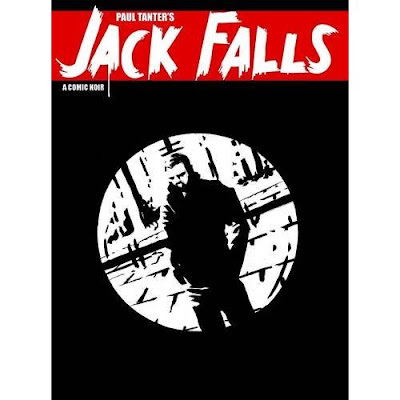 Jack Falls is the third film (and comic) in a trilogy following the adventures of undercover British policeman Jack Adleth . Each subsequent film of the trilogy gets better. In the first Jack Says. Jack wakes up tied to a chair in a warehouse without any memory. But he seems to have evoked the wrath of the Guv'nor, who lectures him about 'losing respect'. We then follow Jack to Paris and the mysterious Girl X who draws him and the woman he loves back into a world he's trying hard to avoid and to remember. In 2009's Jack Said we are introduced to Nathan, a member of a criminal gang headed by the notorious Guvnor (and his psychotic daughter Natalie). He befriends fellow gang member Jack Adleth who, unbeknownst to Nathan, is an undercover police officer. Nathan harbours a secret too and when he steals from the gangster family and goes underground he trusts Jack to look after his sister Erin. Inheriting Nathans role in the gang, Jack must now walk a fine line between his duty as a police officer and what is required of him by Natalie. As he falls in love with Erin, the lines between his real and assumed identities begin to blur and his conscience and loyalty are put to the test. The tension builds till Jack must regroup and then mete out his own brand of justice, fuelled by revenge, on the streets of Amsterdam. Which brings us to the third chapter in the Jack trilogy- Jack Falls. Which stars right where Jack Said left off and Jack returns in this third installment to repay those that tried to kill him in Amsterdam. Starring: Tamer Hassan, Simon Phillips, Olivia Hallinan, Dexter Fletcher, Jason Flemyng, Alan Ford, Adam Deacon, Doug Bradley, Zach Galligan and Martin Kemp.